Whitaker Wright spent the modern equivalent of some £40 million turning his home in Witley, Surrey, into the ultimate pleasure palace. Seldom has a private residence matched the sheer outlandishness of the home Whitaker Wright created for himself near Godalming in Surrey in the 1890s. 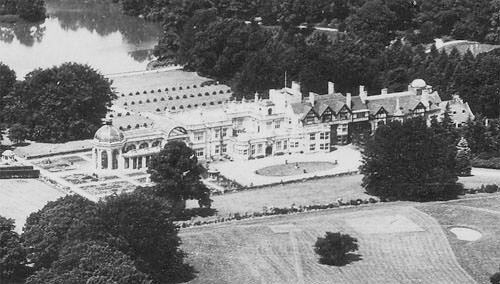 Encompassing some 9,000 acres outside the village of Witley, the Lea Park estate (now called Witley Park) included ten farms, 900 acres of sporting woodland, and 90 miles of roads, lanes and paths. Under the direction of a London architect, Paxton Hood Watson, two wings were added to the existing half-timbered manor house at a cost of £400,000. The end of the west wing was adorned with a vast conservatory, and the end of the east wing with an observatory with a revolving copper roof. Between these two embellishments were thirty-two bedrooms, eleven bathrooms, seventeen cloakrooms and seven receptions rooms. The largest room, at more than 2,600 square feet, was the cedar-panelled ballroom, with an oak and walnut dance floor capable of accommodating hundreds of people. 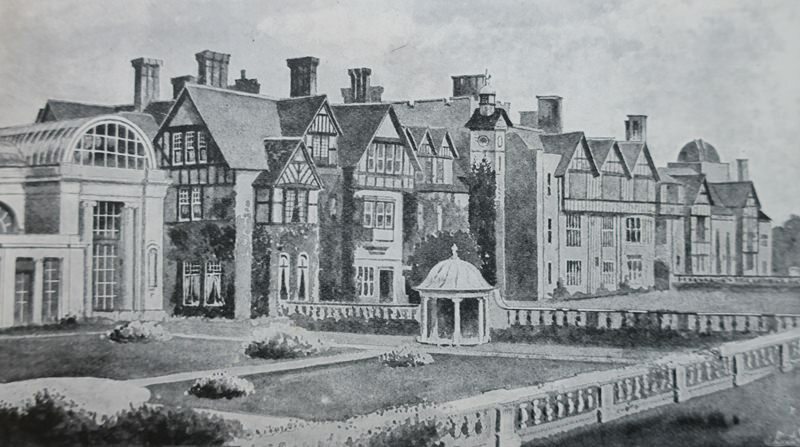 To Wright’s great pleasure, ownership of the estate bestowed on him the title of Lord of the Manor. An army of labourers – around 600 by one estimate – worked for month after month to reshape the surrounding landscape. On one notorious occasion, Wright asked them to move a hill that was blocking his view. They created three lakes on different levels – the square lake, the bathing lake and the big lake. The big lake was the focus of Lea Park’s grounds. Among its adornments were a summer-house, a pagoda, a pier, and a bathing pavilion. Pride of place went to a domed, glass chamber, 18ft high, sitting like an igloo on the lake bed, completely underwater. A subaqueous smoking room, no less. Wright spent many happy hours in what he called his ‘crystal cavern’, reading the newspapers and reflecting on life over a brandy and soda or a bottle of champagne. The main house was destroyed in a fire in the 1950s, but the underwater room still exists, sturdy and watertight, a testament to the skill of the engineers who constructed it more than 120 years ago.